descriptionThis Announcement Baby Blanket size is 30" x 36" 100% Fleece with pink finish. 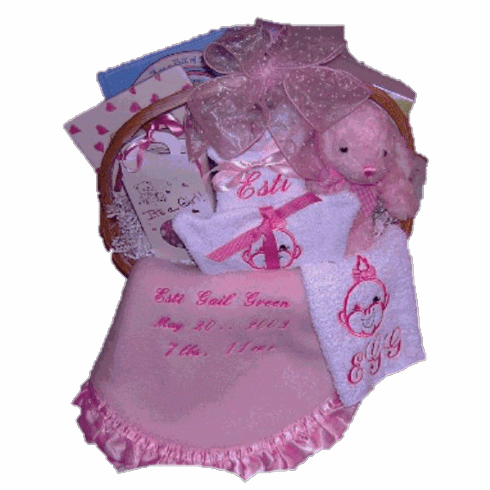 Baby Blanket is incorporate with baby birth information. NAME, DATE, WEITHT, HIGHT and time of BIRTH, and is available in both boy and girl version. The perfect gift for a little angel. These blankets are super soft and available in desired color. Baby Personalize Album and a ultrasoft huggable teddy bear for baby cozy-up time. Use coupon code 50518 when ordering.